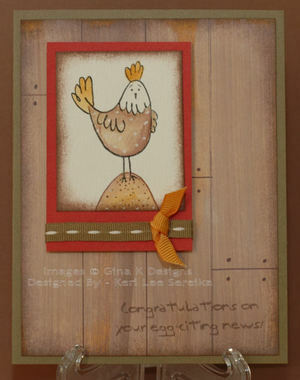 Pink Lemonade: Another fun chicken card! Anyway I tried out the technique that Gina has on her site doing the Faux Wood Technique...I went one step further with my card front and drew on planks and then the little dots to make it look like a pegged plank floor. :) Super fun and easy too!